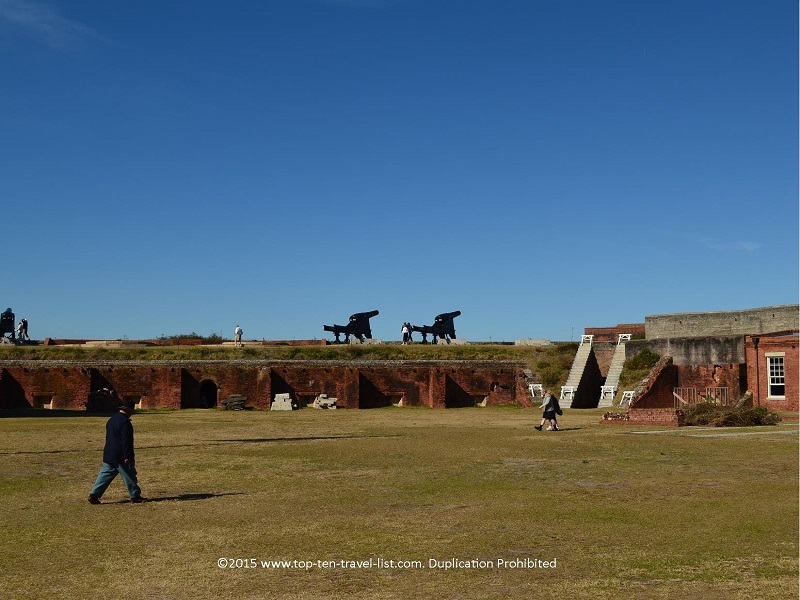 Amelia Island: A Historical Coastal Gem in Northern Florida - Top Ten Travel Blog | Our experiences traveling throughout the US. Amelia Island is a quiet barrier island, located in the Northernmost portion of Florida, not too far from the Georgia border. 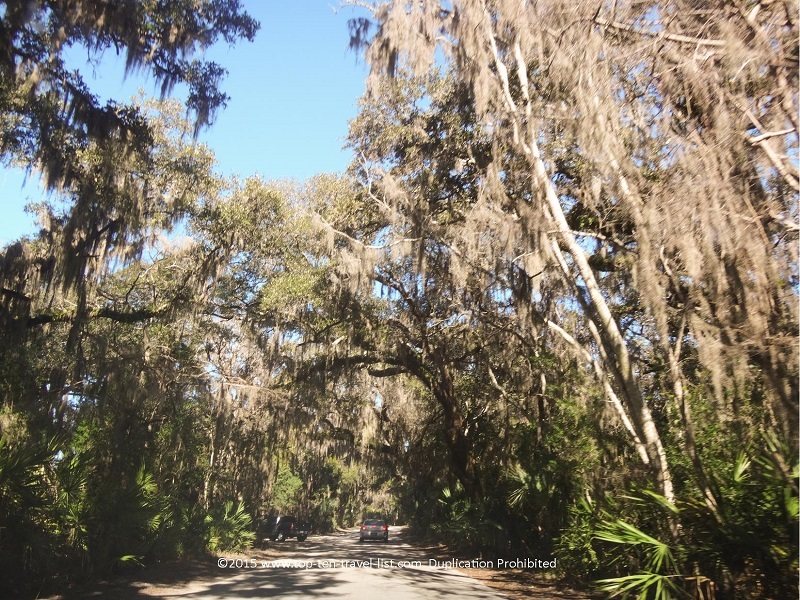 The island is one of the Sea Islands, a chain of coastal barrier islands stretching from Northeast Florida to South Carolina. 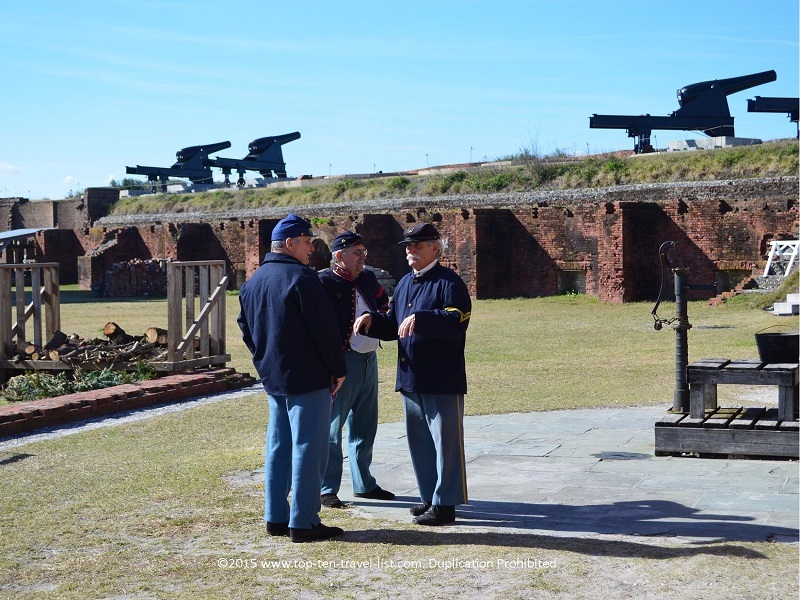 Although the island is conveniently located just a half hour away from Jacksonville, it offers a drastically different setting. 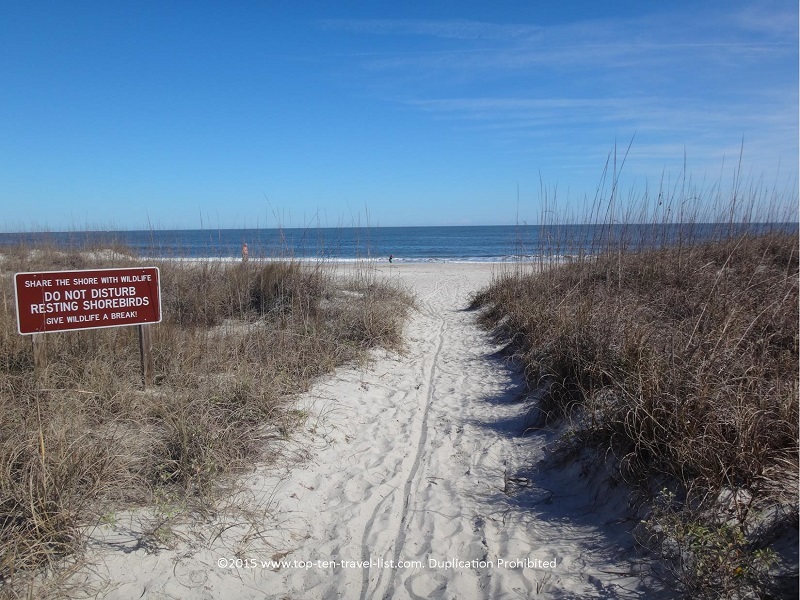 Amelia Island offers 13 miles of quiet, secluded beaches. 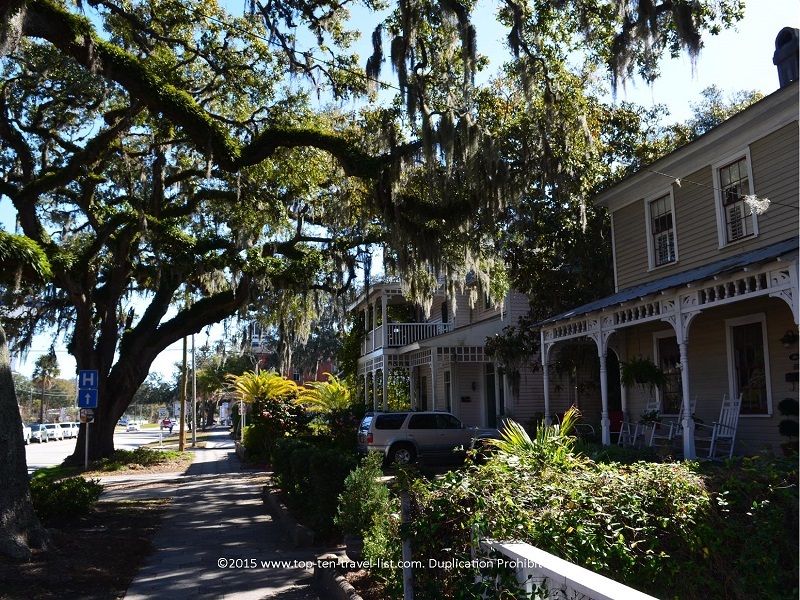 The setting is quaint and beautiful, with many historical inns, beautiful seaside homes, and plenty of tree coverage. Numerous parks, beaches, and recreational activities can be enjoyed in the area. 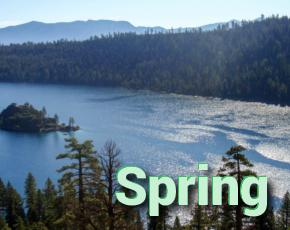 The weather is mild year-round with an average winter temperature in the 60’s. You will find that the area is not overdeveloped, but rather reminiscent of the old days in Florida. The laid-back feeling of the island, combined with a charming historic downtown and absence of restaurant chains and shopping malls, makes it a great vacation alternative over more congested Florida coastal cities. 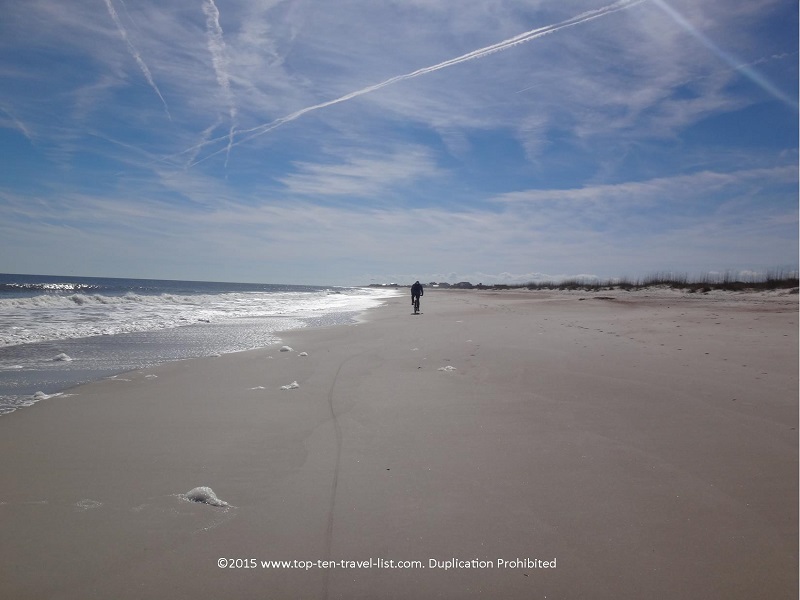 Amelia Island is a great place to take a rejuvenating beach vacation; here you will find quiet inns and seaside hotels, spas, and peaceful parks. 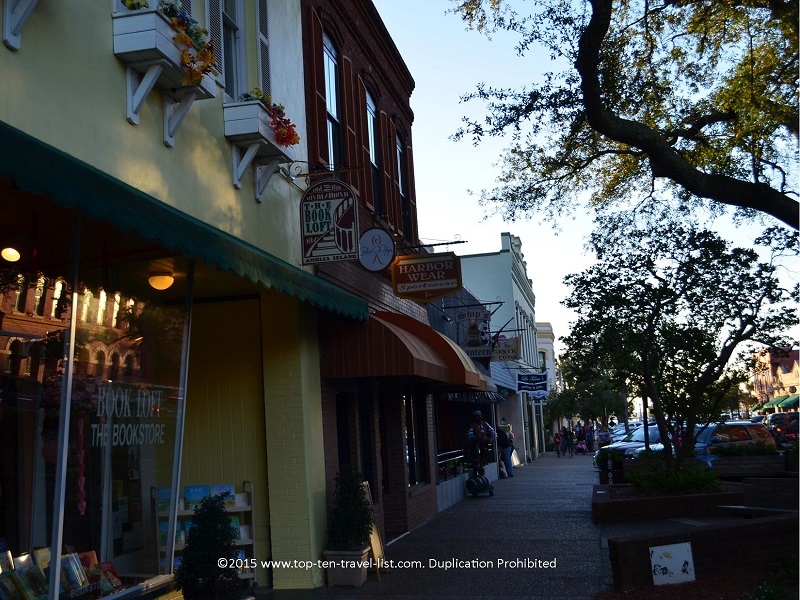 Historic downtown Fernandina Beach is a charming area to take a stroll around. There are 2 towns on the island: Amelia City and Fernandina Beach. 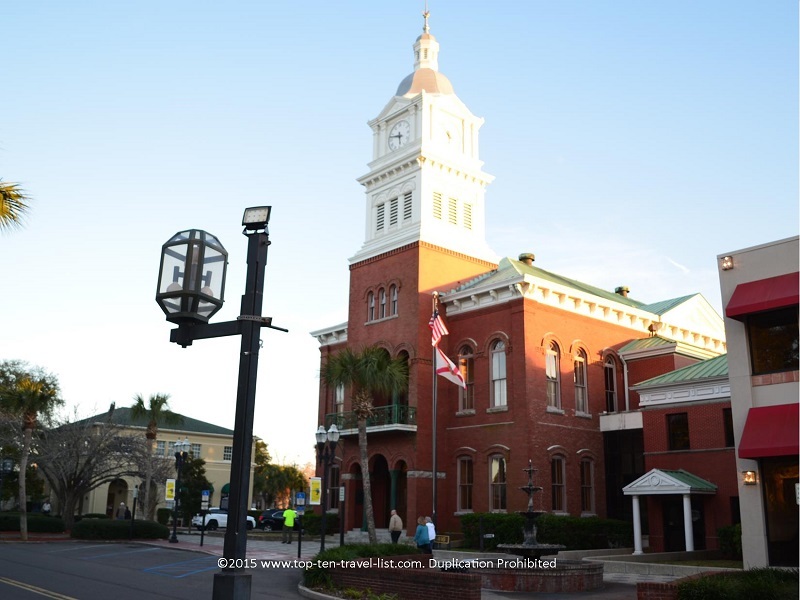 Fernandina Beach is a great little community on the island. 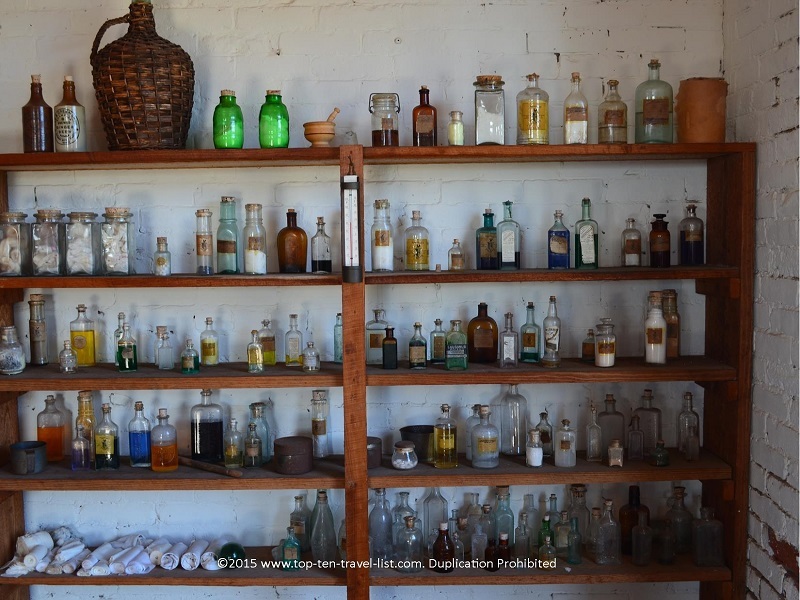 There are plenty of activities to enjoy, without all the added congestion that typically comes along with a tourist area. 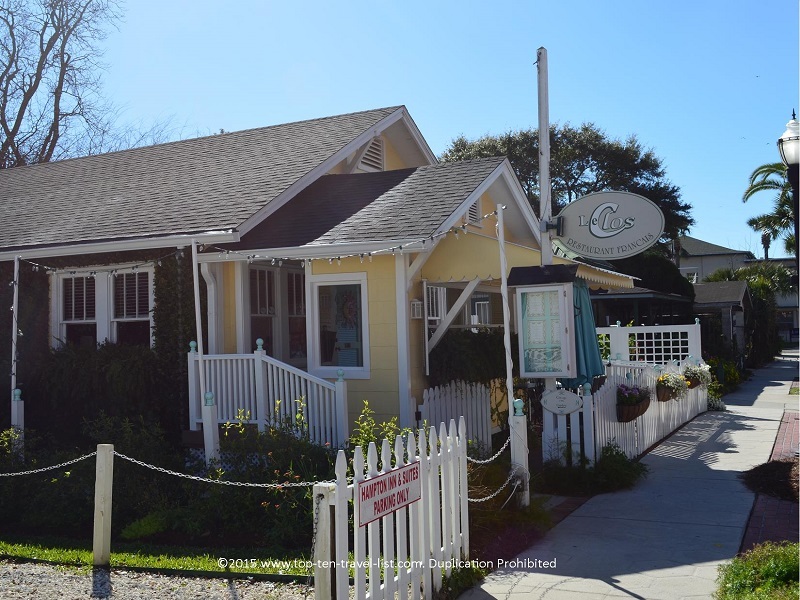 Fernandina Beach is home to many quaint inns and bed and breakfasts. 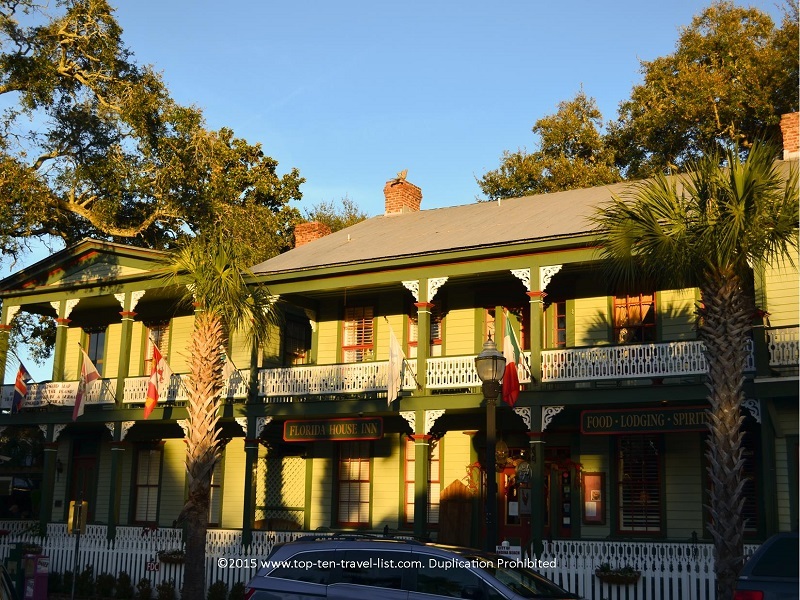 The historic downtown area is home to several great inns including the Florida House Inn, which is thought to be the oldest hotel in Florida. Another great inn choice is The Hoyt House, located on Centre Street. 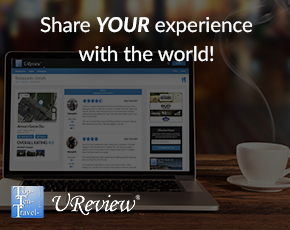 Staying at a downtown inn is a great choice as you can easily walk to all the shops and restaurants. 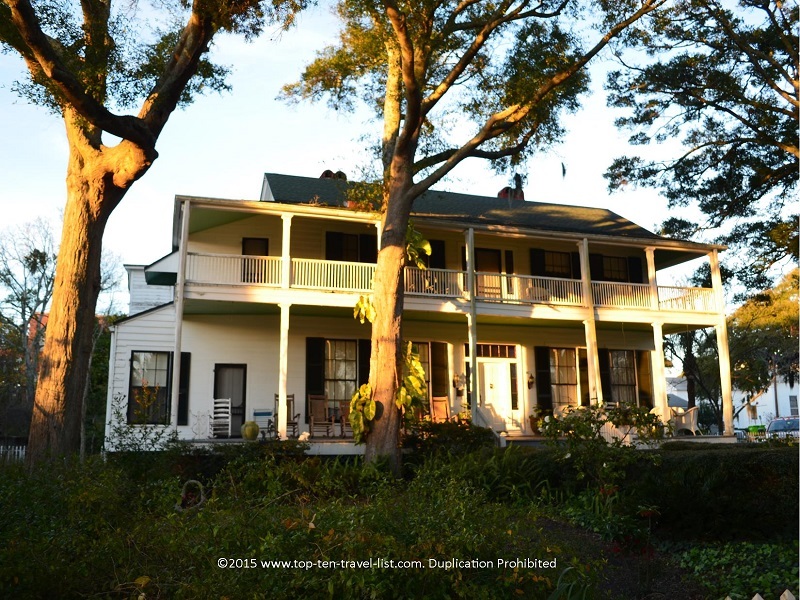 The beautiful Hoyt House Inn was built in 1861. 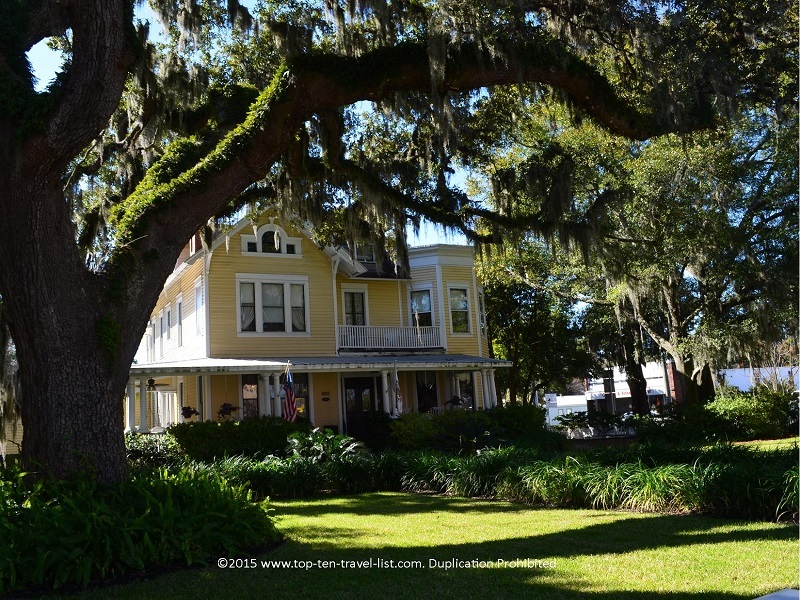 The Florida House Inn, built in 1857, is the oldest inn found in Florida. Beachfront hotel options include a mixed variety of private inns/bed and breakfasts and luxury chain hotels. The Omni Amelia Island Plantation and Ritz Carlton are 2 great choices for those who prefer a lot of extra luxuries like a full service spa, rooms with waterfront views, a luxury pool area, and on site restaurants. 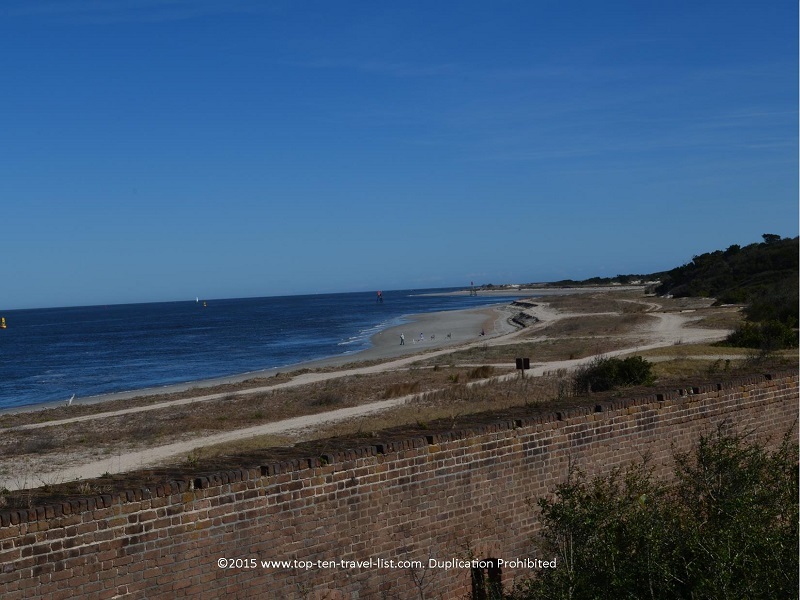 The Seaside Amelia Inn is an affordable choice that is located within walking distance of the beach and just a short drive (or bike ride) from both Fort Clinch State Park and downtown Fernandina Beach. 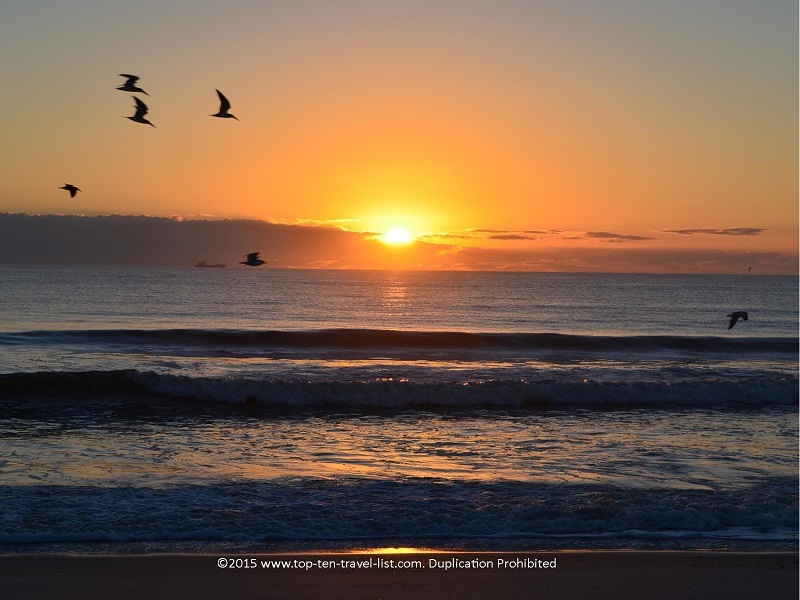 The inn is situated right on the beach, enabling you to catch a beautiful sunrise each morning. 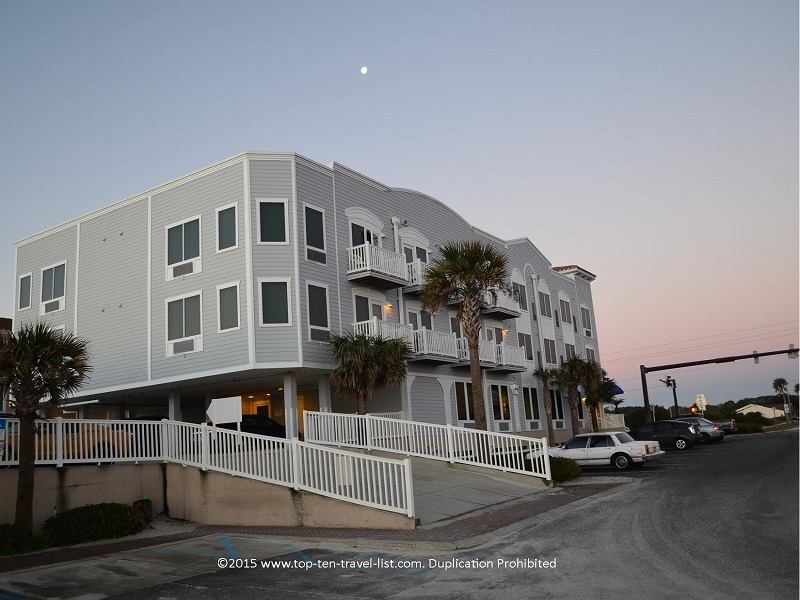 The Seaside Amelia Inn is conveniently located directly on a beautiful beach. 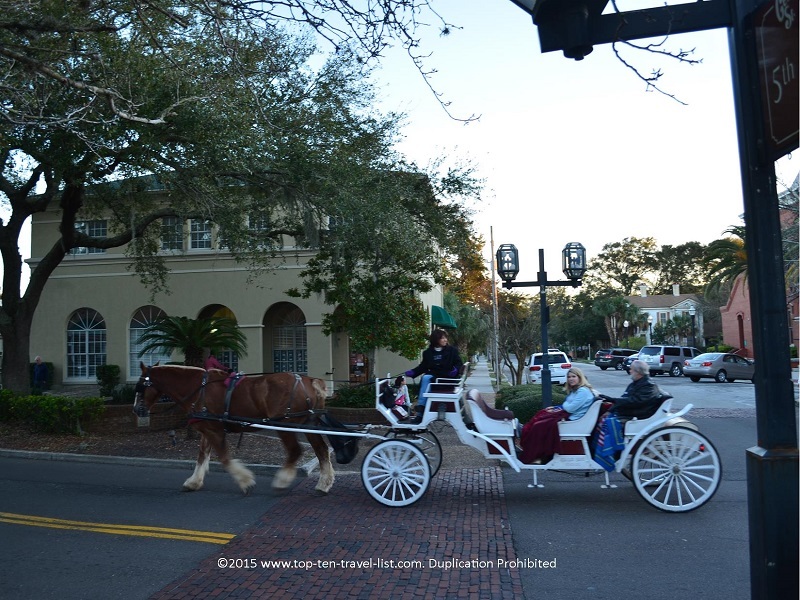 A narrated carriage ride through the charming streets of downtown Fernandina Beach. 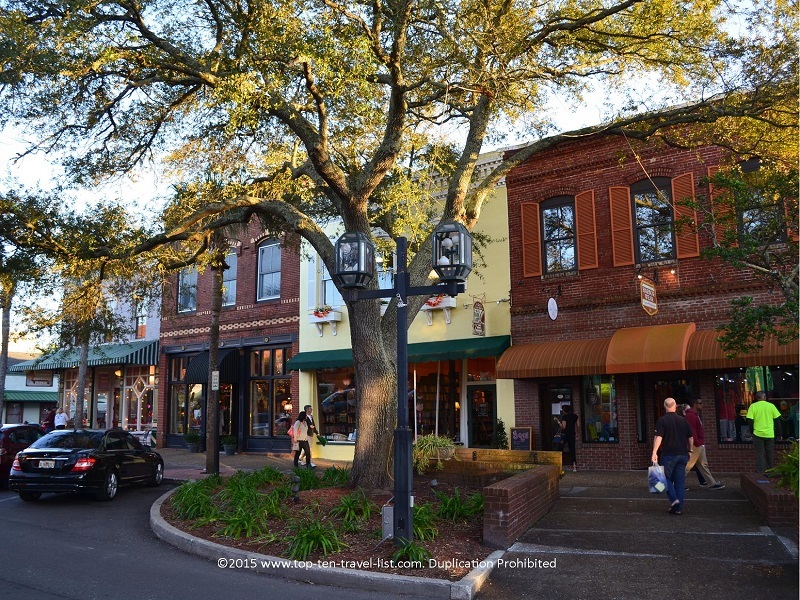 Fernandina Beach’s historic central point is home to individual restaurants, shops, and picturesque buildings. The tree-lined streets offer plenty of extra shade during the hot summer months. Le Clos, a charming little French restaurant, is a great choice for a romantic evening out. Also be sure to pick up a freshly brewed local coffee at Amelia Island Coffee. Those with gluten and dairy allergies should head straight to Jack & Diane’s. Not only do they have an excellent GF and vegan menu (one of the largest I have seen in Florida), but they also offer friendly service, a charming outdoor patio, and great tasting food. A view of a few of the shops lining Centre Street. 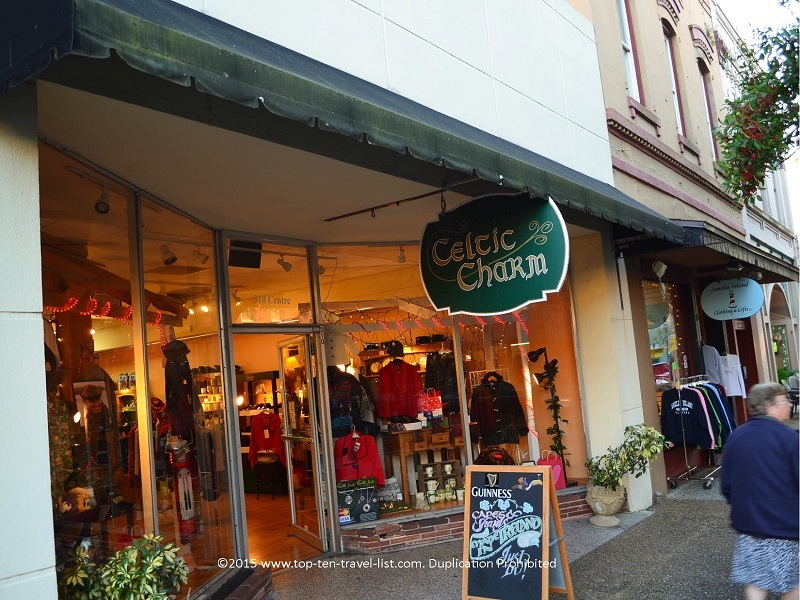 Celtic Charm is a great little local Irish Store. 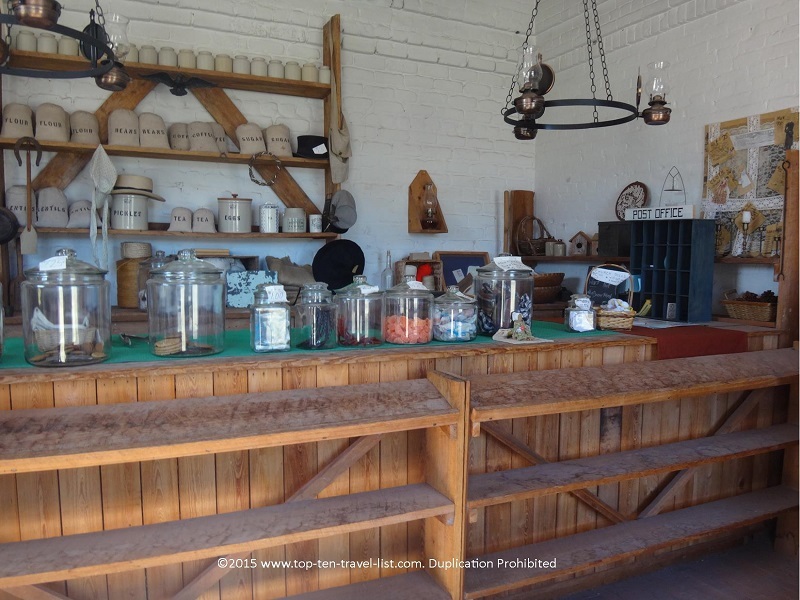 Plenty of great household decor items, jewelry, and gift ideas to be found at this local treasure. Fantastic Fudge offers a variety of homemade fudge flavors for those craving a sweet treat. 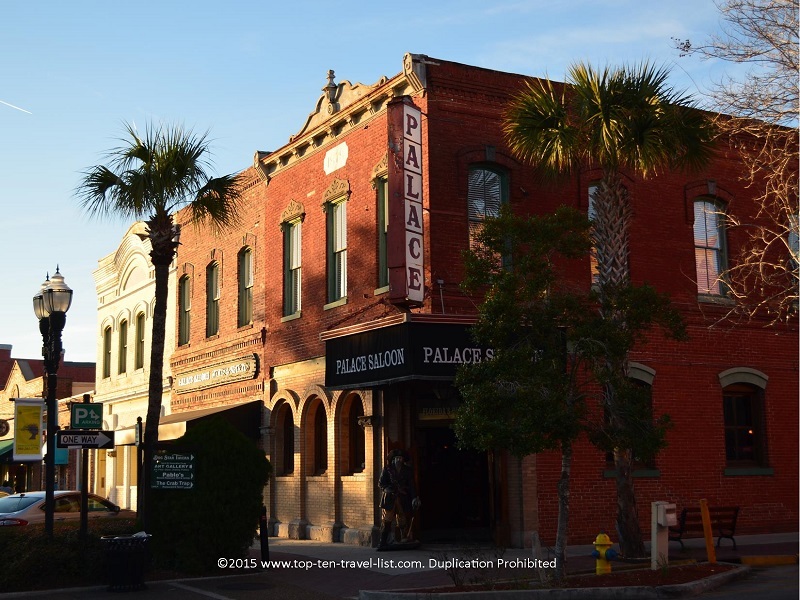 The Palace Saloon is the oldest drinking establishment in Florida. 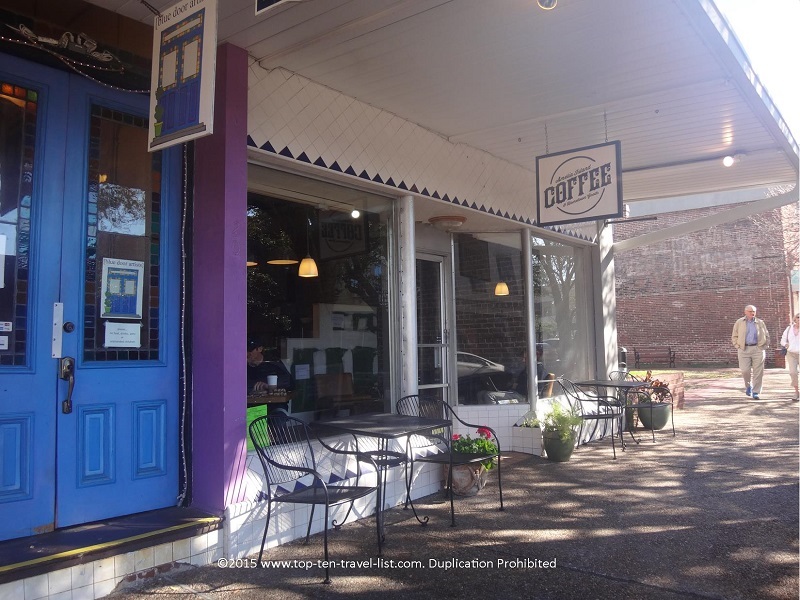 Amelia Island coffee is a great place for a refreshing break after exploring the downtown area. Le Clos is a charming little French restaurant, housed in a historic cottage from 1906. 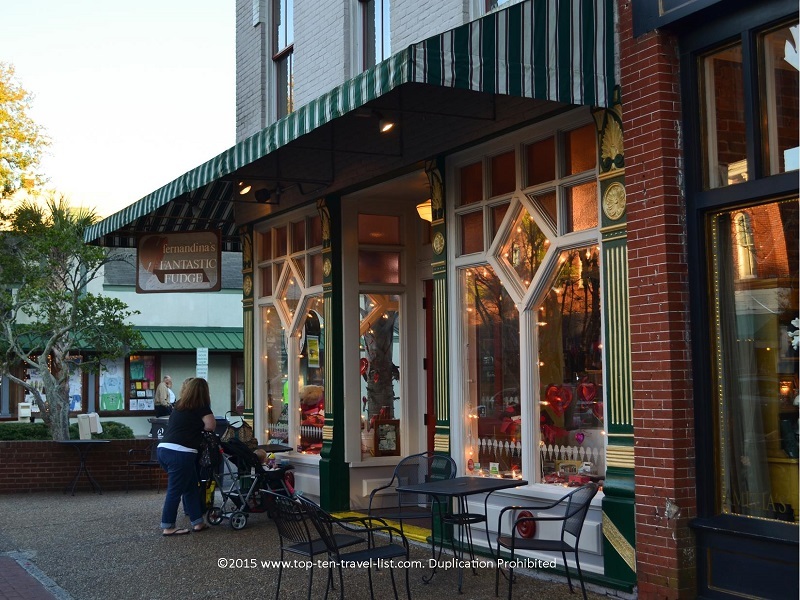 There are many beautiful historic buildings in this downtown region. Take a look below at some examples of the beautiful architecture in the area. The Nassau County Courthouse, located at 416 Centre Street, was built in 1891. 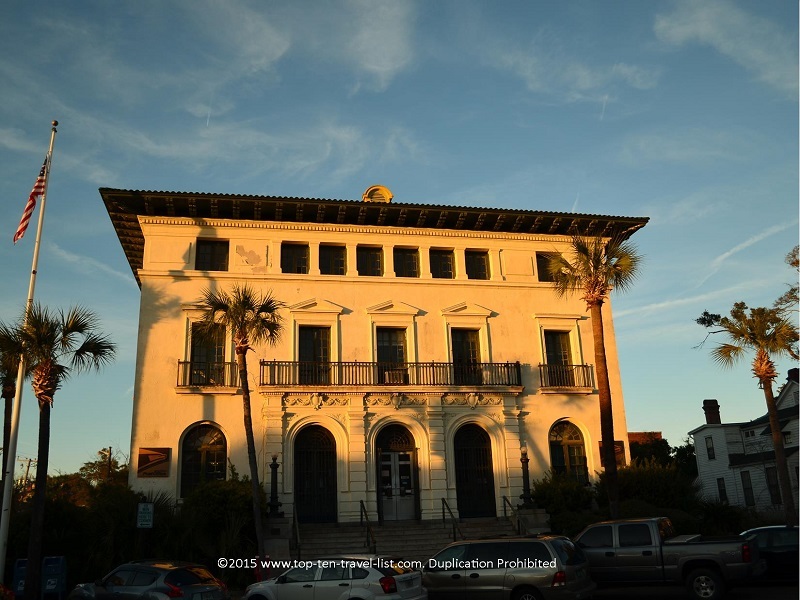 Fernandina Beach’s historic post office building was completed in 1912. The Lesesne House, built in 1860, is one of the oldest homes in town. Beautiful inns and homes lining historic Centre Street. If you want a guided tour of the city’s architecture, be sure to reserve a carriage ride with Old Towne Carriage Company. Both 30 minute, extended hour tours, and private romantic rides are available. A relaxing horse drawn carriage ride is a great way to learn more about this beautiful area, while also enjoying some fantastic photographic opportunities. Or if you prefer, just take a stroll around and explore the beautiful sights at your own pace. 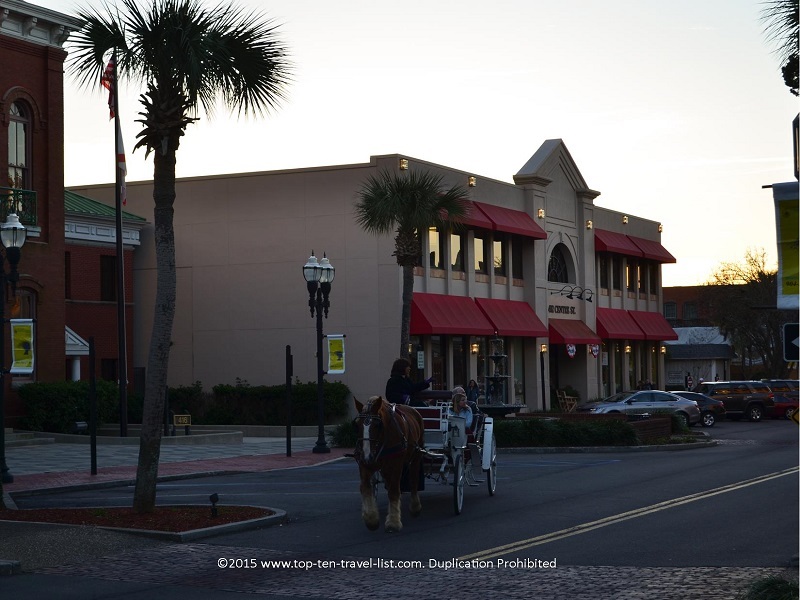 A carriage ride through Fernandina’s quaint downtown area is the perfect activity to add to your itinerary. 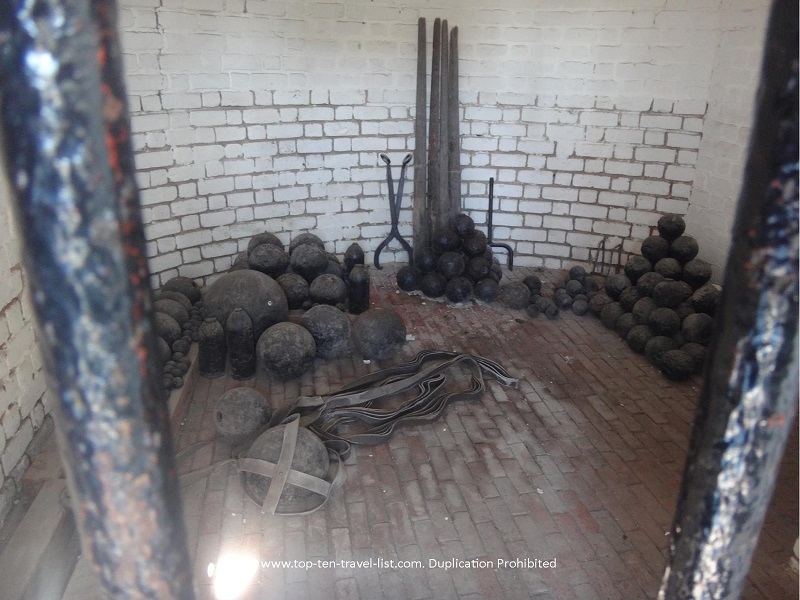 Both history buffs and exercise enthusiasts will appreciate the beauty of this diverse park. 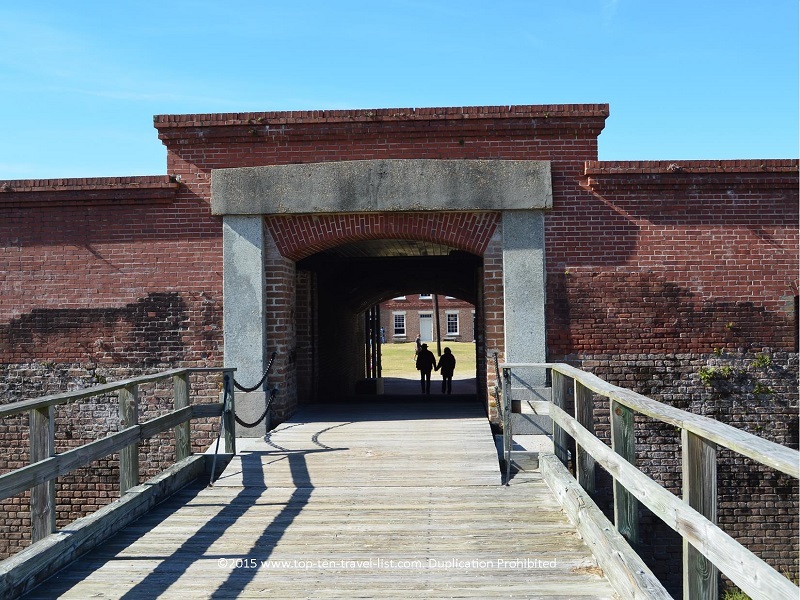 There are many activities to enjoy here including 3 miles of beaches, a scenic bike loop, hiking trails, and historic Fort Clinch. 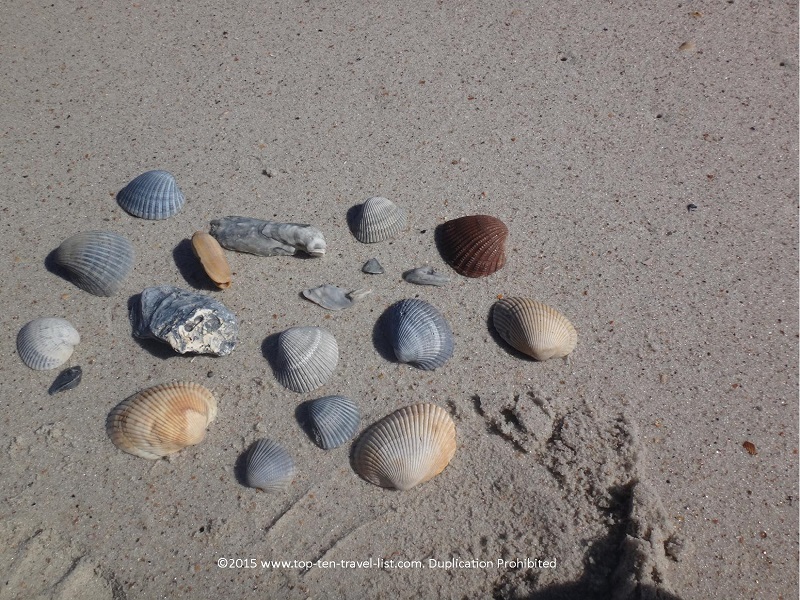 The beaches are gorgeous – quiet, secluded, and loaded with sea shells! The beach is absolutely gorgeous and totally secluded as well – a great place to take a break after a day of hiking and biking. The flat, hard packed sand is perfect for walking or biking. There are so many unique seashells to collect of all different sizes and shapes… a true beach comber’s paradise! If you are lucky, you may even find a shark tooth! 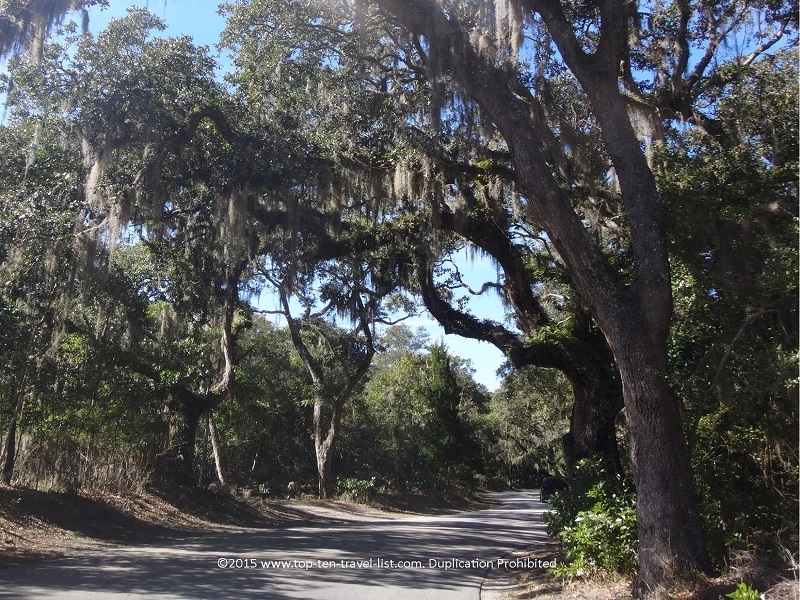 The main 3 mile loop around the park is an excellent option for year round biking. It’s a great place to cool off during the hot summer months and even more comfortable during the mild winter season. 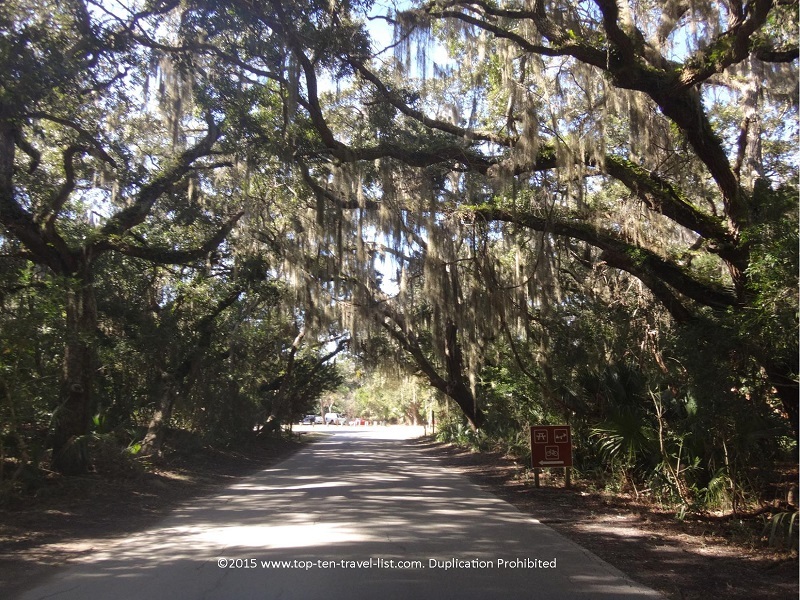 It’s lined the entire way with gorgeous Spanish moss trees, which provide ample shade coverage. You will also find a few off-road bicycle trails for more experienced bikers or those simply looking for an extra challenge. 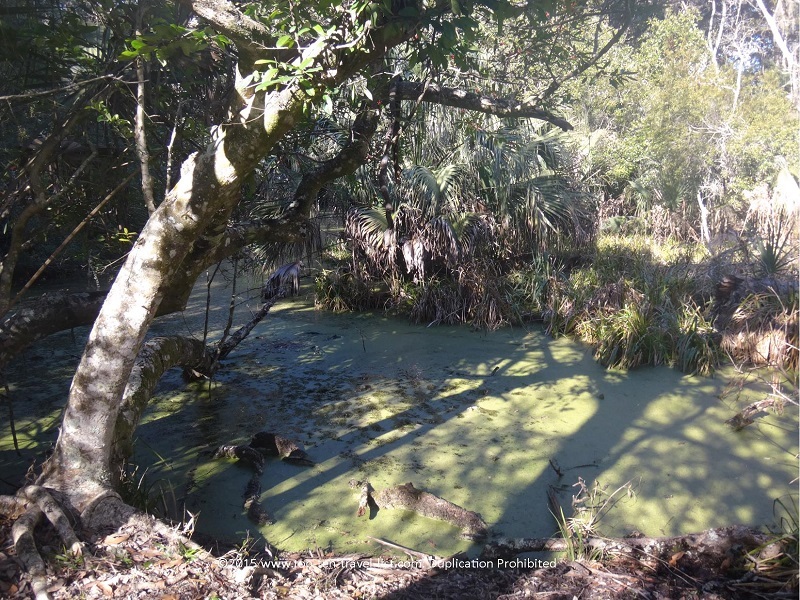 A few miles of hiking trails take you around scenic ponds, providing great opportunities for wildlife sightings. 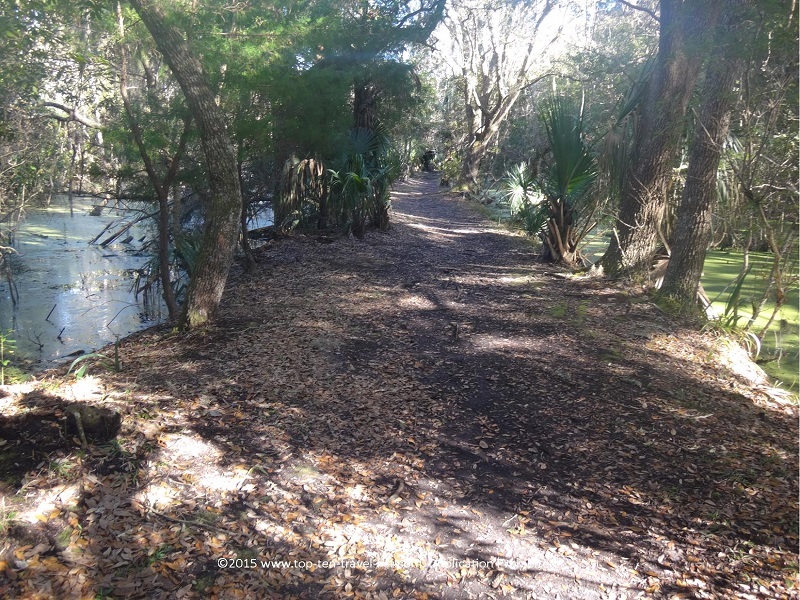 Alligators, bobcats, deer, armadillos, and gopher tortoises are frequently seen on the trails, especially during the early morning and evening hours. 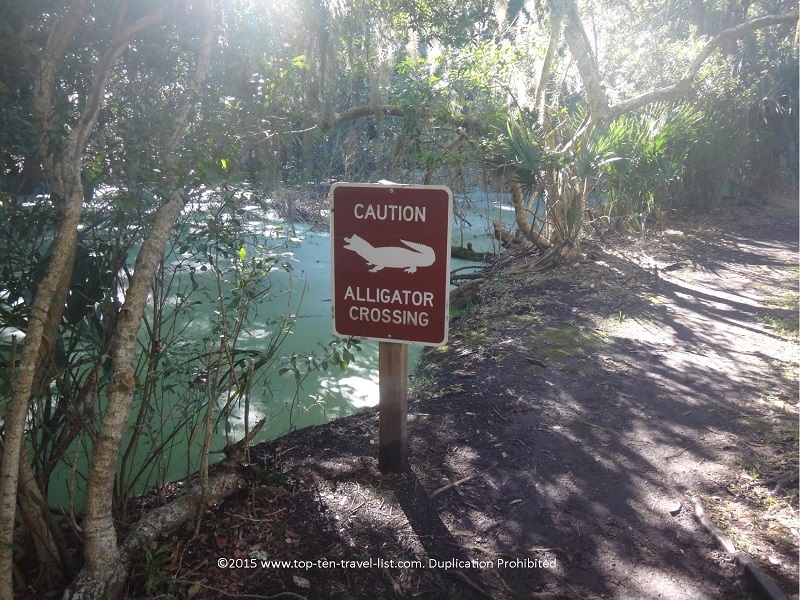 Gators frequent the area, so take caution! 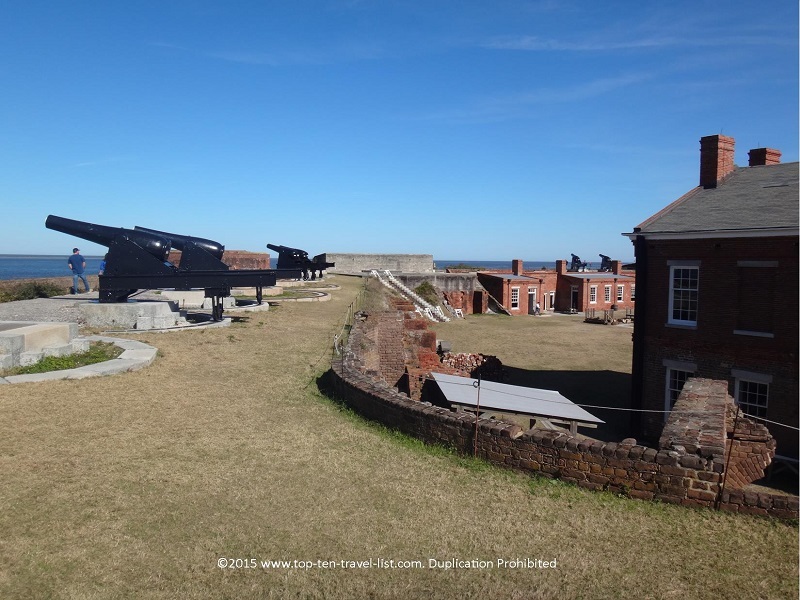 The highlight here is a self-guided tour of Ft. Clinch. 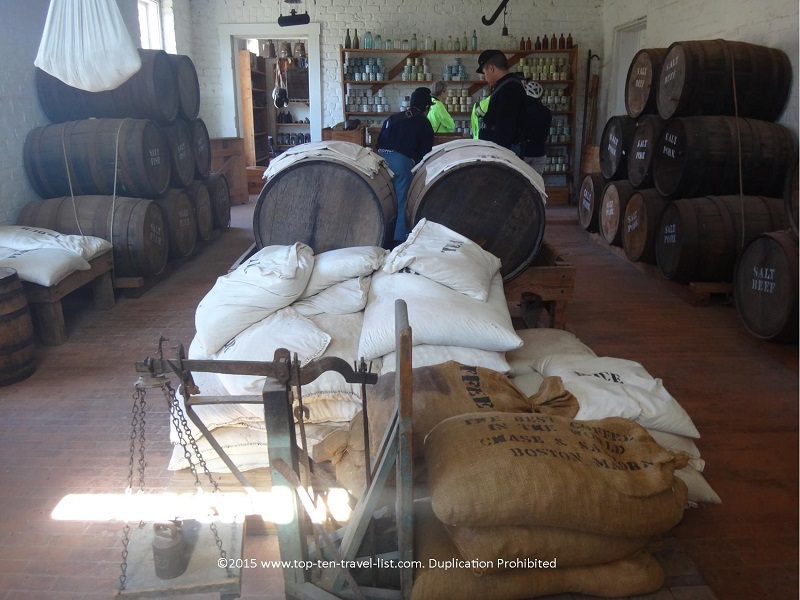 Here you will be able to take a step back in time to 1864. 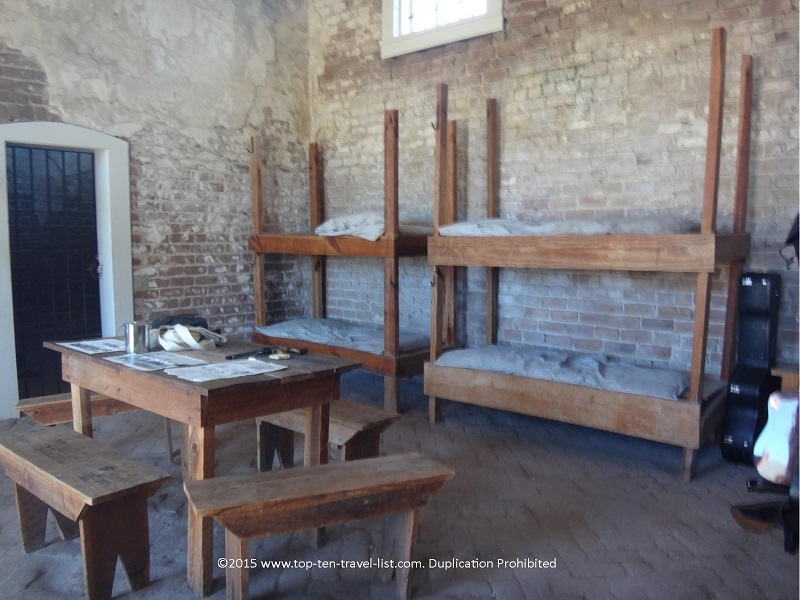 As you explore the grounds, you will be able to see how soldiers lived during the Civil War. 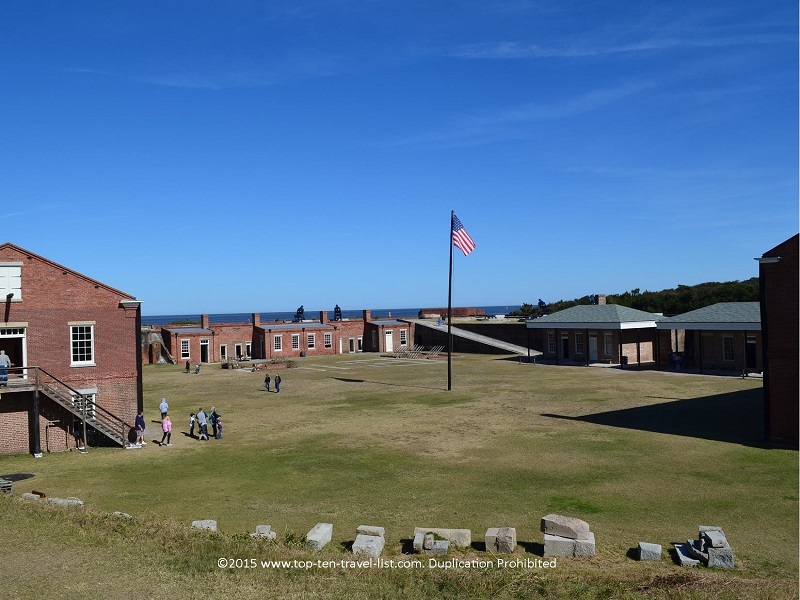 If your visit falls during the first weekend of the month, you will be able to enjoy exploring the grounds with the added benefit of watching entertaining military reenactments. 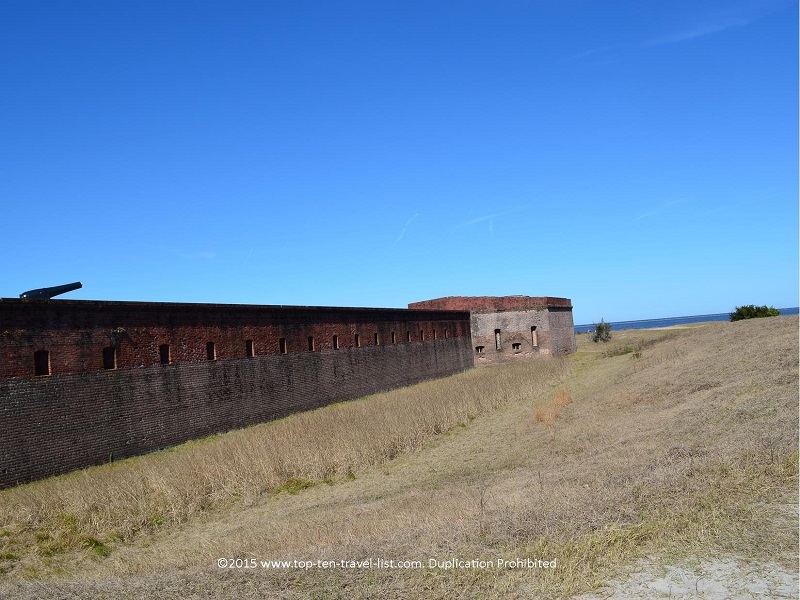 The 19th century fort is supposedly haunted; various tales of ghost sightings and hauntings have been shared throughout the years. 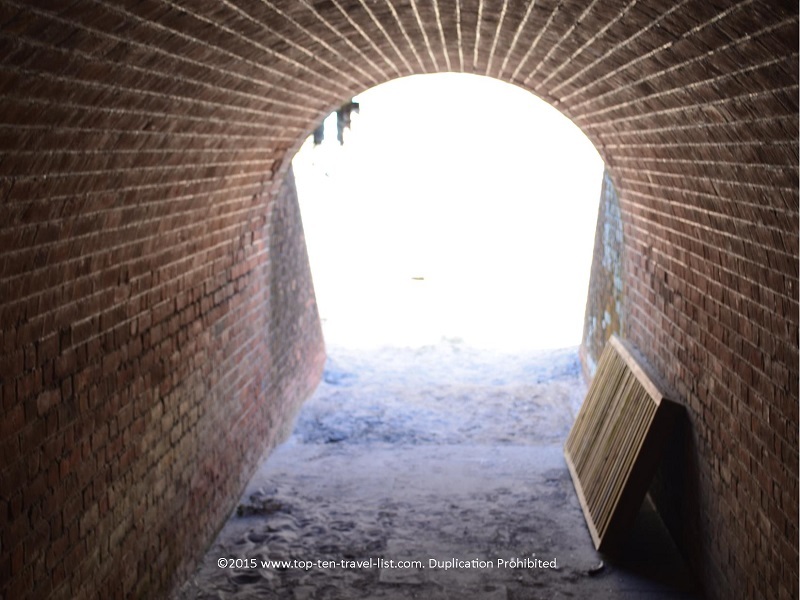 Amelia Island is a popular location for ghost tours. 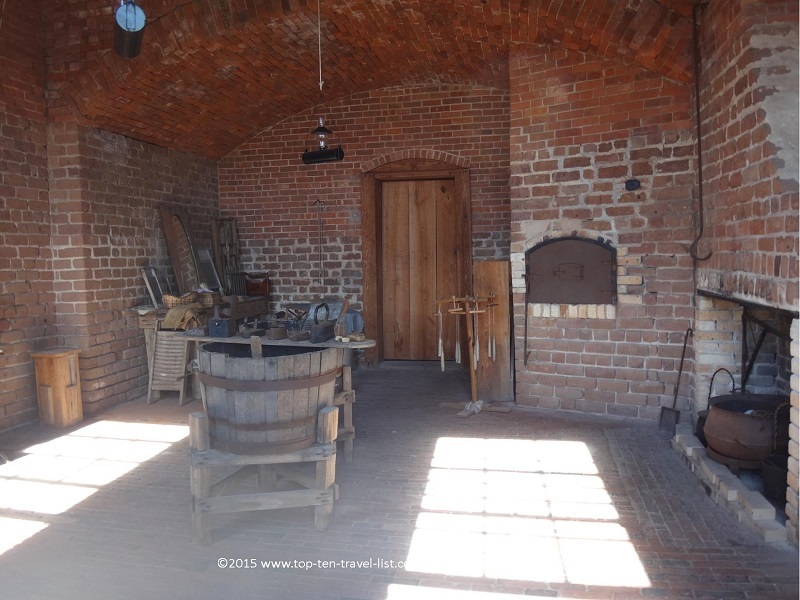 In addition, candlelight night tours are offered on summer weekends. 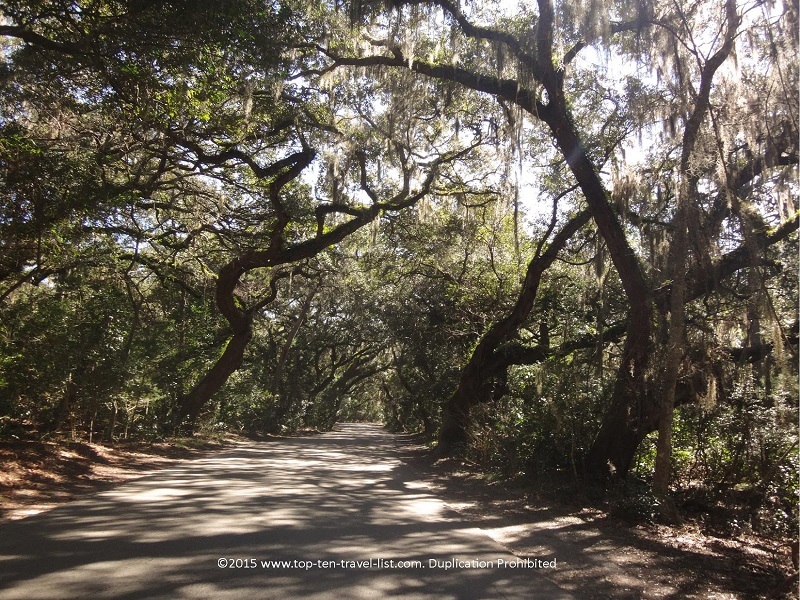 Amelia Island is home to miles and miles of pristine Atlantic coast beaches. There are many gorgeous beaches to explore and plenty of seashells to take home as souvenirs. The sunrises on the island are simply gorgeous. 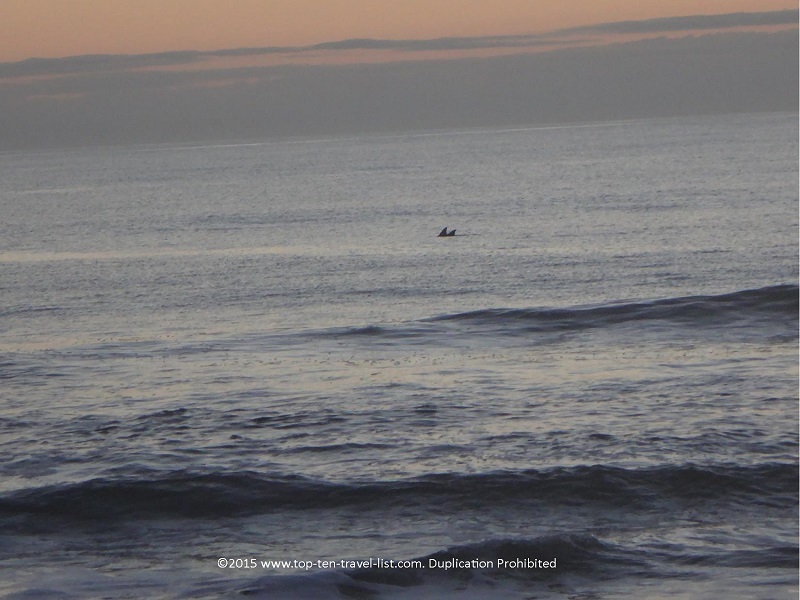 If you get up early enough, you are more than likely to see groups of dolphins traveling. If you look closely you can see 2 dolphin tales in the distance. 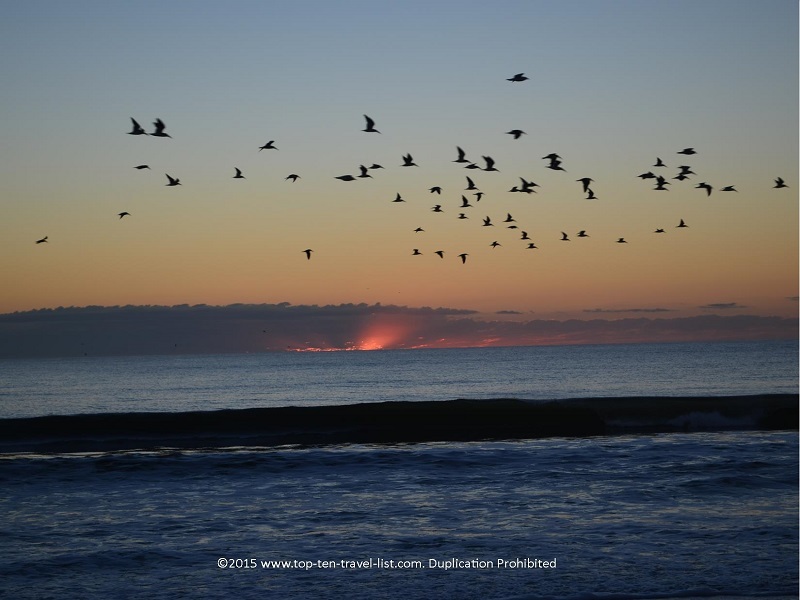 Get up prior to sunrise for the most viewing opportunities! 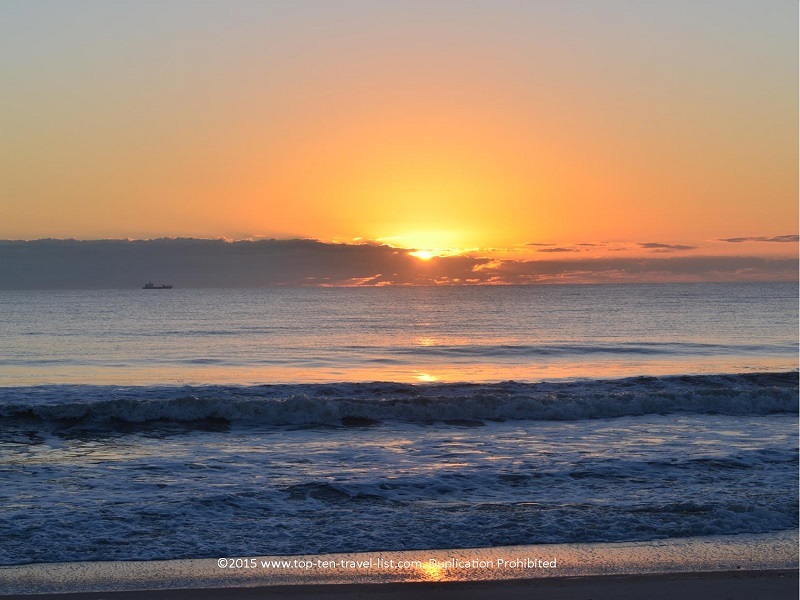 Amelia Island is a great Florida vacation destination for those looking to relax, enjoy beautiful sunrises, and get back to nature. If you are looking for theme parks, lots of bars, and pricey tourist attractions, then this is not the place for you. However, if you are seeking a quiet vacation where you are surrounded by simple Florida beauty, then you are in store for a treat. Beautiful natural attractions, a wonderful old-fashioned downtown, and gorgeous beaches await your visit to Amelia Island. 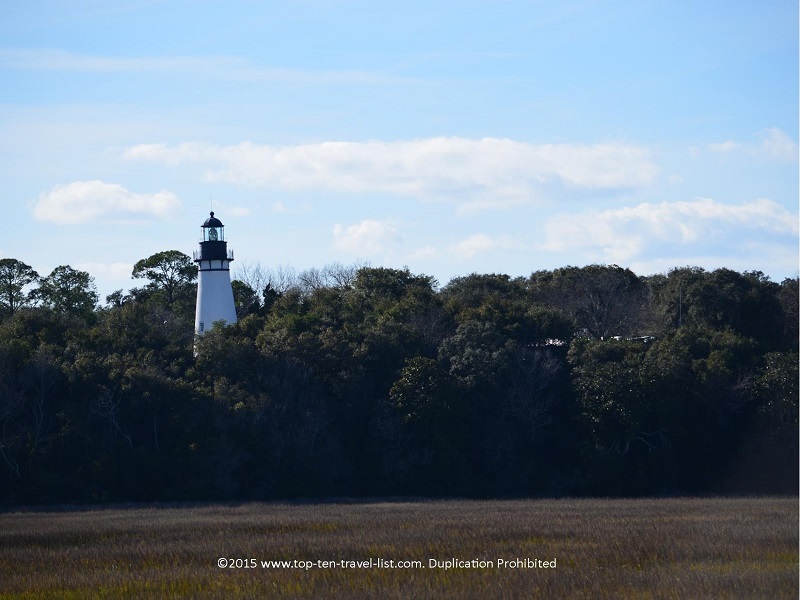 Have you ever visited Amelia Island? 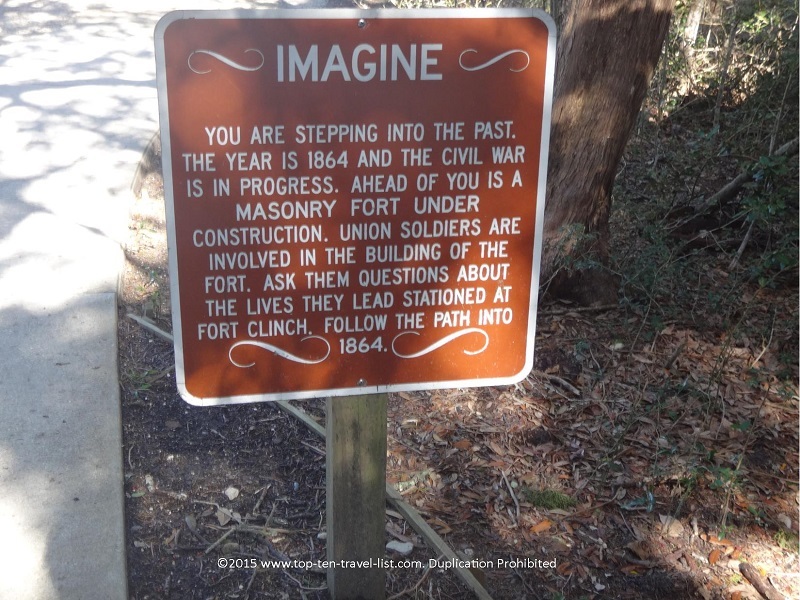 What are some of your favorite activities and attractions in the area?